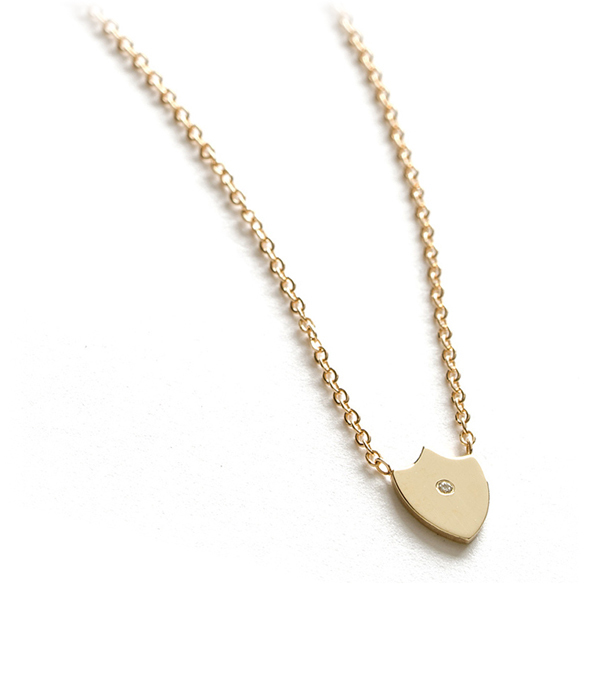 A classic symbol of protection and strength, our solid gold shield charm necklace is a minimalist token of these very sentiments. The shield charm is set with a single tiny diamond as a reminder of the strength within. 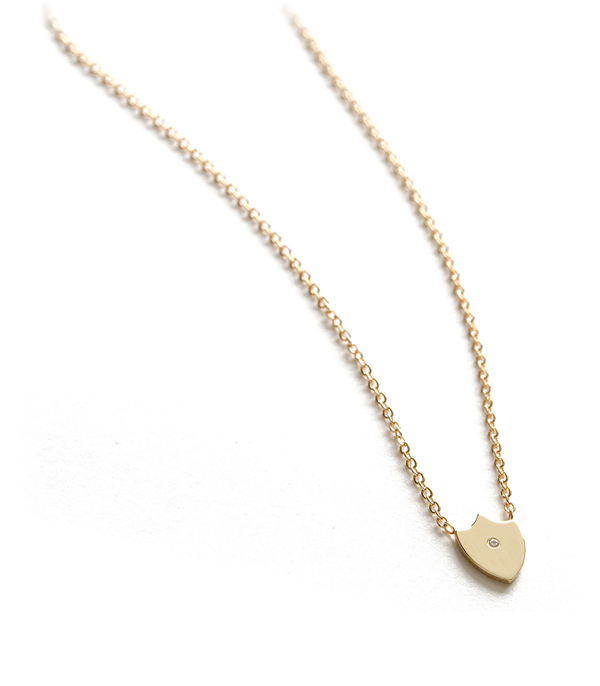 We think this charming layering necklace is simple enough to wear everyday, but classic enough to become an enduring part of your style, a wonderful gift for someone who needs a little reminder that they are a warrior. Layer this necklace with other talismans to create a secret message to a best friend or love. Categories: Charming, Necklaces, Sofia's Favorites, Under 500, Vintage Dreamer.